Essential plot rundown: Navy Seals must stop a terrorist attack. This was an incredibly good movie. As I was watching it I thought: I'll probably applaud at the end of the movie. Just a small way of showing my respect for our troops. But when it ended, I couldn't. I was too emotional and the note the movie ended on deserved silence, not applause. Let's just jump in with the story. The story was nothing special in itself. A CIA agent gets captured, they rescue her, discover a terrorist plot to attack the US of A, and try and stop it. The film claims to be inspired by true missions and what not. But I wonder how much was and how much was creative license. I don't know how often our troops stop terrorist attacks like that, but it felt like a normal action movie story. I'm not saying that's bad; I'm just curious. 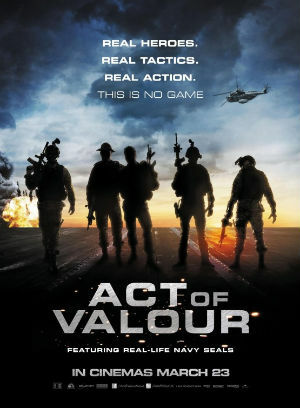 The characters were portrayed by active duty Navy Seals. Therefore, the acting is none to great. It felt a little stiff and at times, distracted from the movie a little. But, most of the movie revolves around missions so there isn't really a lot of acting for them to do. And that is one of the things that stood out to me: there is little to none character development. There are two main Seals and they are each given a little history. But there is no real development. There is no arch to them. I guess that can be attributed to the type of story. Most of the time, they are on missions, so I didn't feel that there was room for them to grow. (If that makes sense; it does to me). However, I guess that the character doesn't come from an individual, but from the Seals as a whole. You care for them, not because you know them and relate for them, but because they are soldiers. Their character come from the fact that they are risking their lives to protect us and our freedom. Once again, I'm not saying that this was a bad thing, just different. I thought the cinematography was really good. There are a lot of POV shots that put you right there in the action. I didn't feel that these were done as a tactic, trying to simulate a video game. I thought they helped the story and were well done. There were a lot of cool shots in this film. And as for shaky-cam, that is common in action films now-a-days, there was only one spot that if bothered me. Actually, I can't even remember if there was a lot of shaky-cam used. However, there was one thing that bothered me. 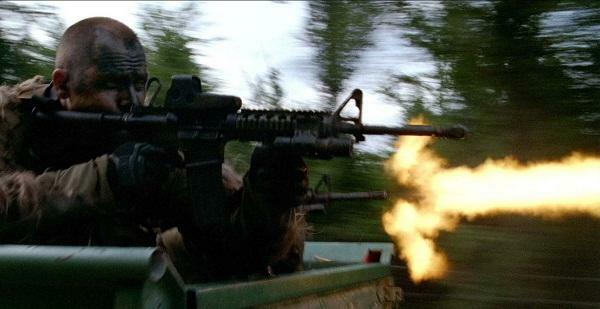 This happened in the climax, as the Seals were closing in on the terrorists. One Seal does something in order to protect his squad. And as I was watching it, it seemed a little unnecessary. That looked like he could have avoided it, have done something else. But, then again, I am not an expert on the military or weapons or anything. So I don't really know if that would have really happened or not. Maybe that part was just poorly edited. Who knows. Overall, this was an amazing movie. There were parts that had me on the edge of my seat. There were parts that made me cheer our troops. I even laughed. There few a few scenes that brought a tear to my eye. And as the movie ended, my two friends and I were all crying.